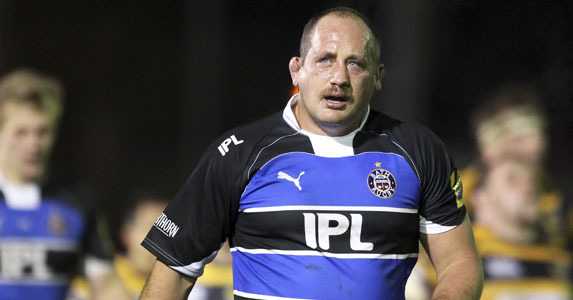 Bath Rugby can confirm that prop David Barnes is retiring from rugby with immediate effect. The decision has been made after following medical advice on a neck injury. Since joining Bath in 2000, David has gone on to make 266 appearances for the Club, and captained the England Saxons in the 2006 Churchill Cup. Technically strong and very experienced, David is a very well respected player in the rugby world, and has been chairman of the Rugby Players Association since 2005. Speaking about the decision, David said “I have immensely enjoyed my rugby career and especially the time that I have spent at Bath. “I was looking forward to fulfilling my playing contract with Bath till the end of next season, however after consultation with a medical specialist I have been advised that it is no longer possible for me to continue to play. Whilst it is extremely upsetting to be forced to end my playing career prematurely, I feel extremely fortunate to have been able to have run out at the Rec for the last 11 seasons and to have played alongside many great players in some truly memorable matches. “I would like to thank everyone at Bath; the players, the coaches, the medical teams and all the staff, for making my time so enjoyable and especially the many supporters who ensure Bath remains a truly special club to be associated with.